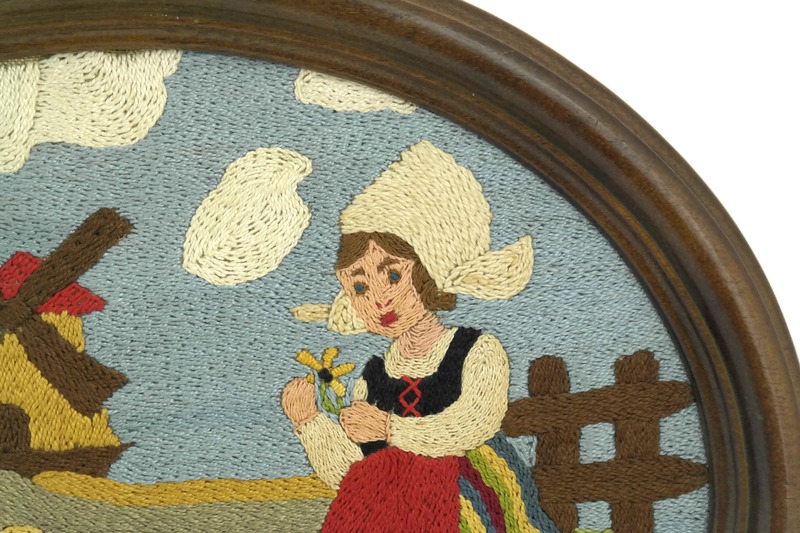 Vintage Windmill & Little Dutch Girl French Tapestry in Oval Frame. 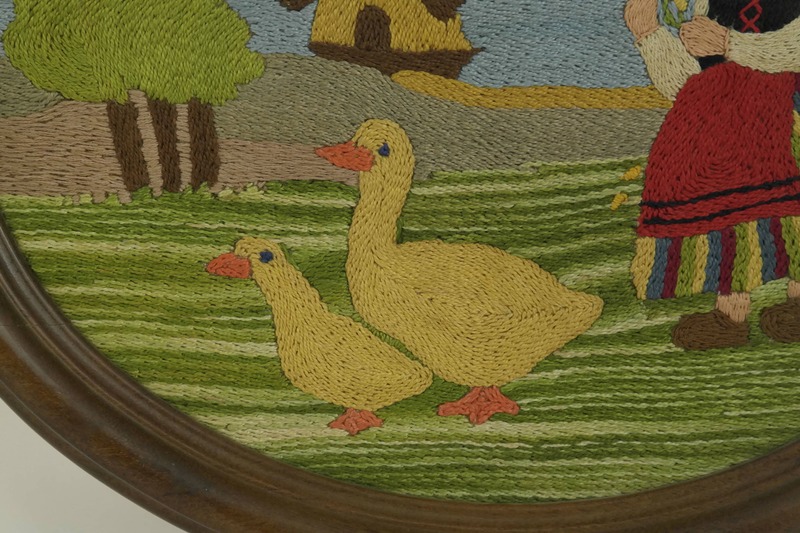 A delightful vintage French tapestry dating to the 1930s. 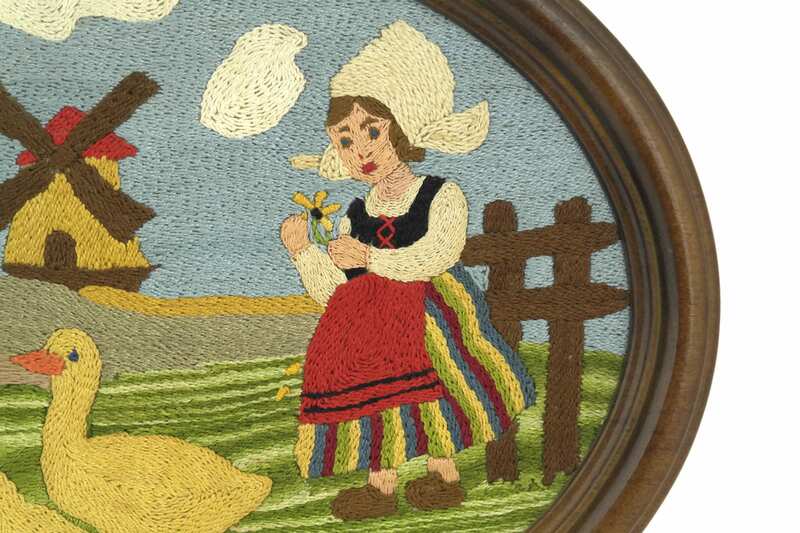 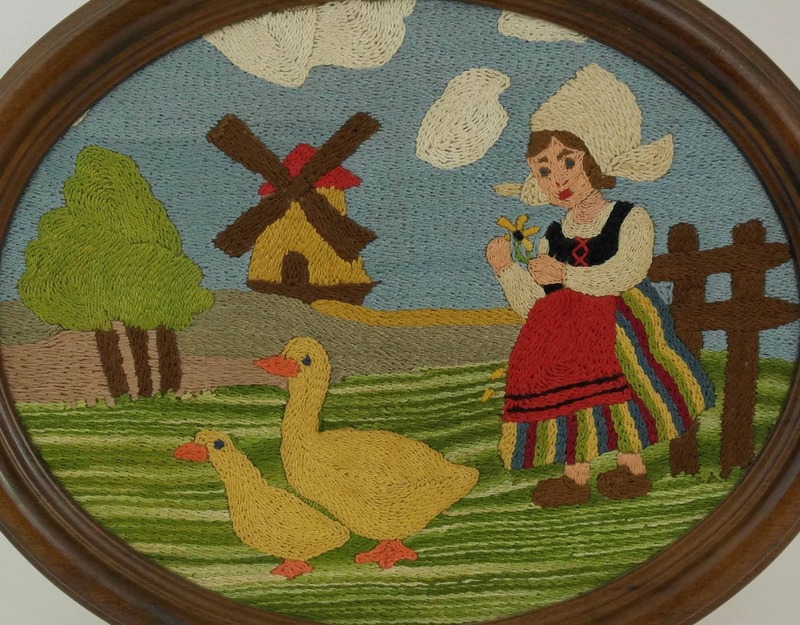 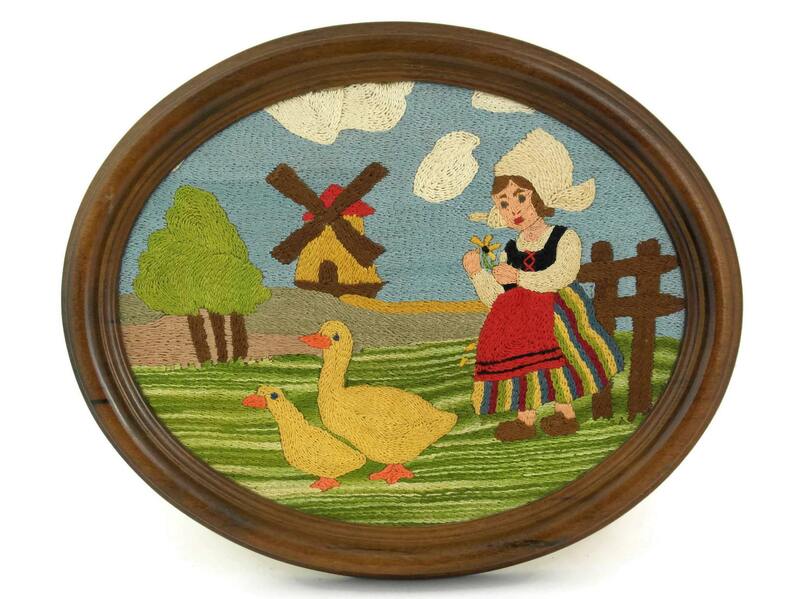 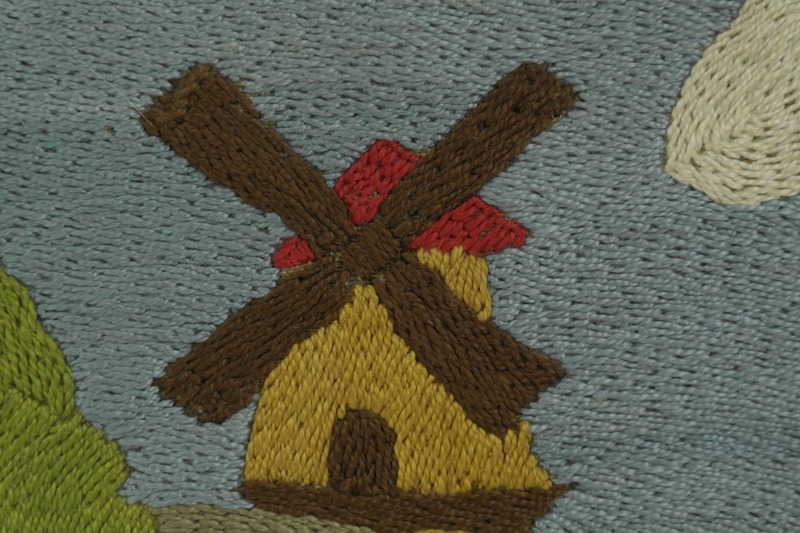 It features the scene of a little Dutch girl in a field with ducks and a windmill in the distance. 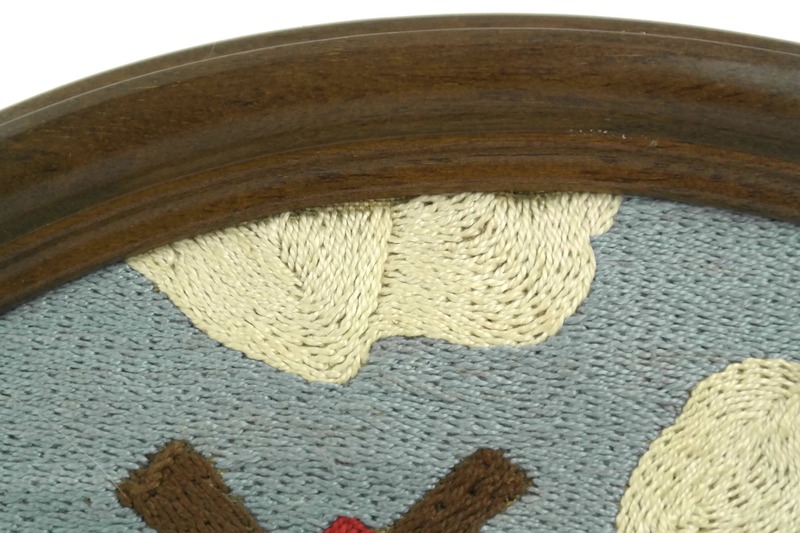 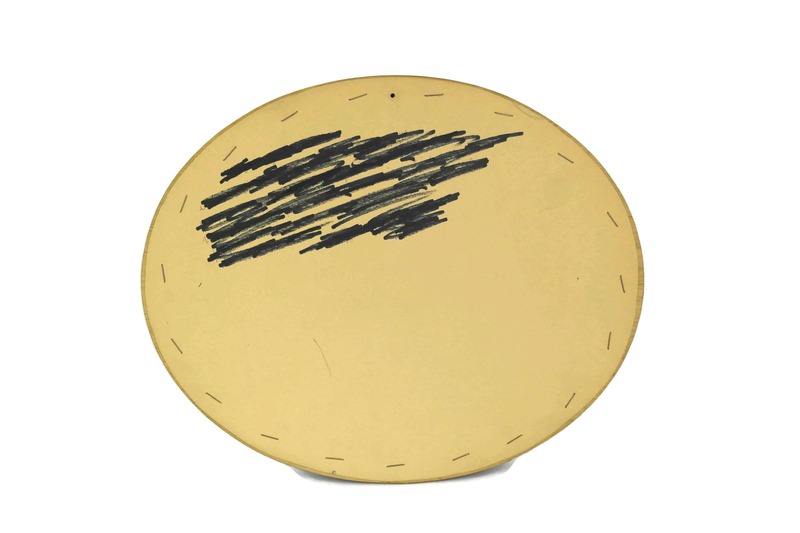 The brightly coloured needlework portrait has been framed in an oval wooden picture frame. 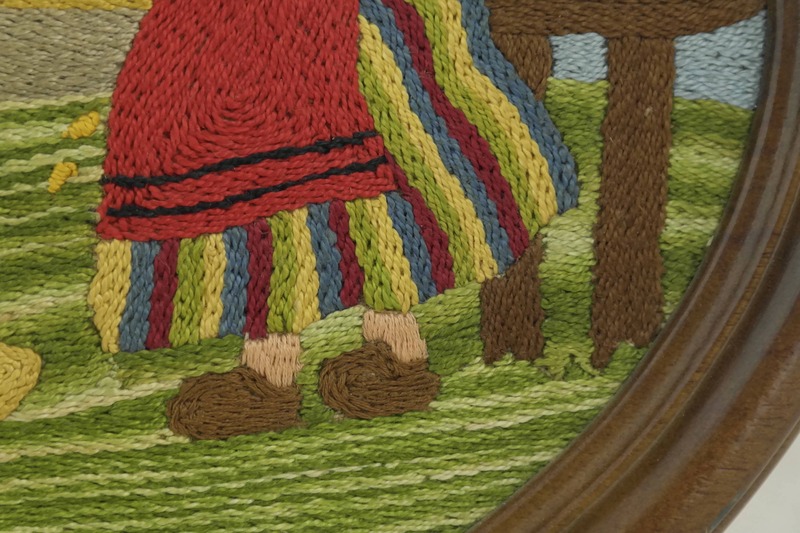 (28 cm x 33 cm). 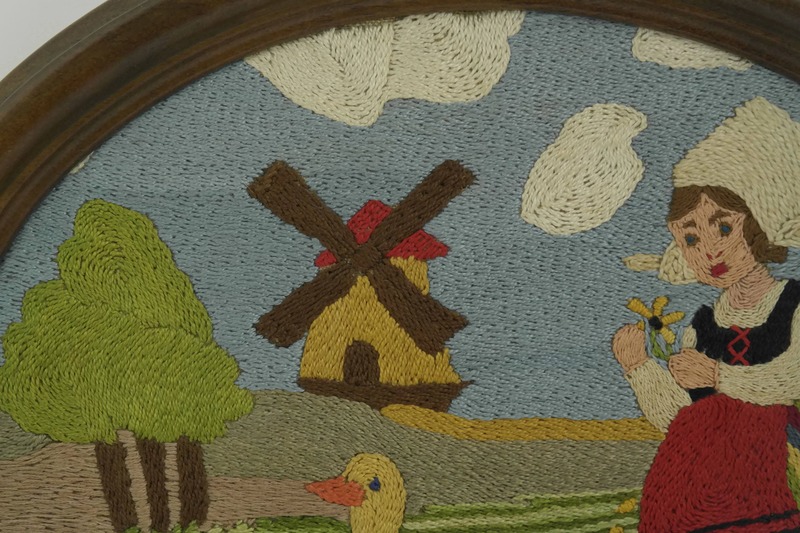 The framed French tapestry is in very good condition.